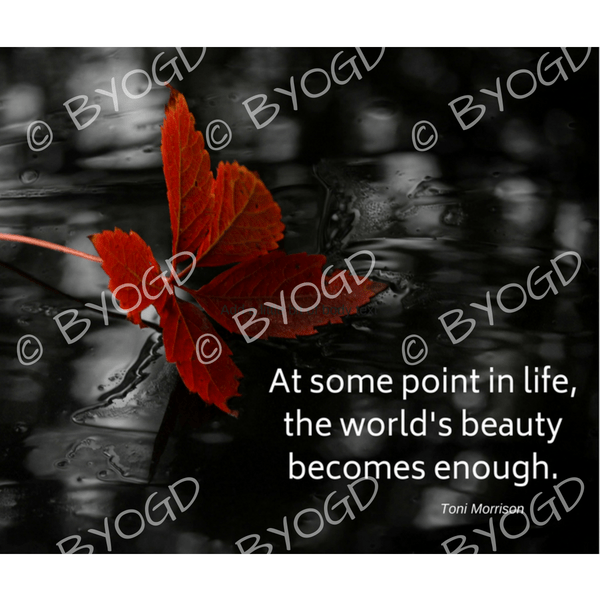 Quote image 171: At some point in life, the world's beauty becomes enough. - Toni Morrison. Motivational and inspirational royalty and copyright free posts for your own social media, Facebook, Twitter, Pinterest, Instagram.